Edale to Torside. Approx 15 miles. So… back on the Pennine Way again. This is my third attempt to thru-hike this iconic trail from Edale in the heart of the Peak District to Kirk Yetholm on the Scottish side of the England/Scotland border. I have section walked 95% of this, England’s first National Trail, over the years and twice before I have attempted to walk it’s entire 268(ish) miles length in one go only to be thwarted by injury. 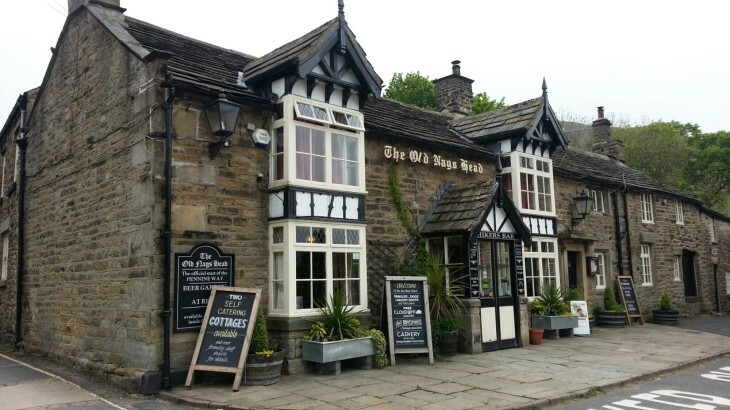 This time nothing short of death will stop me drinking that free half pint that awaits those who reach the Border Hotel at the Northern terminus of England’s toughest trail! Parking my car at the Rambler Inn in Edale I set off Friday lunchtime in gloriously high spirits, if somewhat less than glorious weather. Still… I am no fair weather walker and feeling the freedom of over 2 weeks of hiking ahead seep into my soul I was bouncing along towards Jacobs Ladder grinning from ear to ear. This is the 50th anniversary year of the Pennine Way and I knew of others who were already ahead of me on the trail and others who would be starting shortly after me – this wasn’t the year for a solitary hike! But this suited my mood and I looked forward to meeting fellow hiker’s over the days ahead. 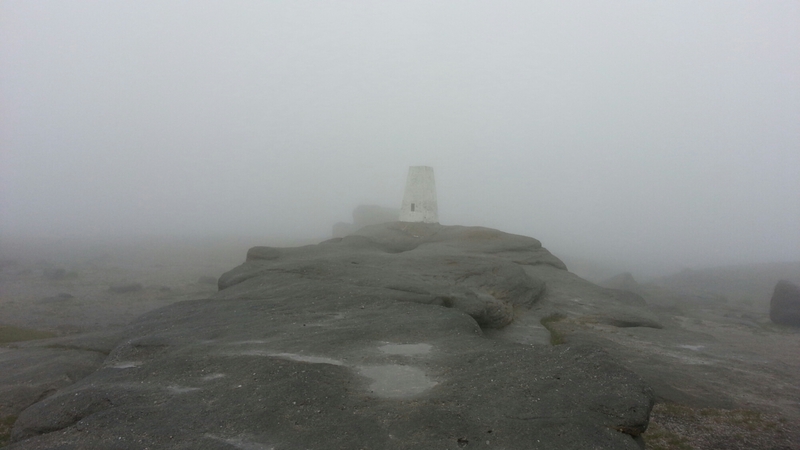 Kinder Low Trig… in clag! My ‘plan’ for the day (I say ‘plan’. Those who know me know I rarely plan any aspect of a hike apart from its start and end point) was to camp at Kinder Low as I was starting late in the day. However, the clag, windy and damp conditions atop Kinder as well as the sheer number of folks about dissuaded me and, as it was still relatively early (about 3pm), I decided to push on to Torside. So much for my ‘plans’! I would already be a day ahead of schedule after only one day hiking! 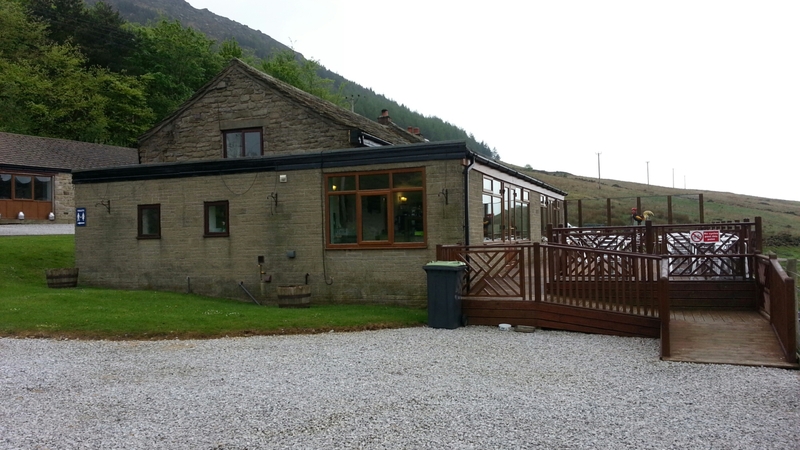 The weather brightened as I headed over Torside Clough and I met a few day walkers, but no Pennine Way hikers and as I descended from Clough Edge to Torside Reservoir I was anticipating camping at Torside Old House B&B for the night. But the lovely James and Joanne, proprietors of this fine establishment, offered me a good deal for a bed for the night followed by a hearty breakfast in the morning which I could not refuse! So, after what had been a great first day’s walking I settled in to a warm bed with thoughts of what tomorrow might bring. I was truly back on my Nemesis Trail and loving it! 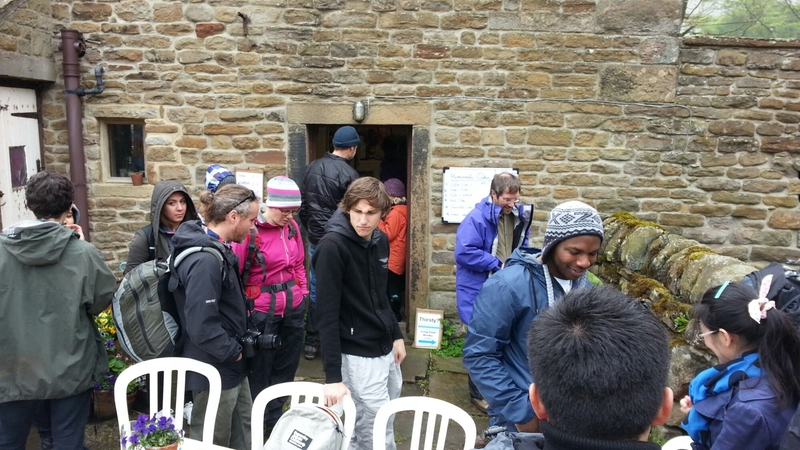 Solo Adventures backpacking, Edale, Hiking, Pennine Way, PW50thAnniversary, Torside. permalink. 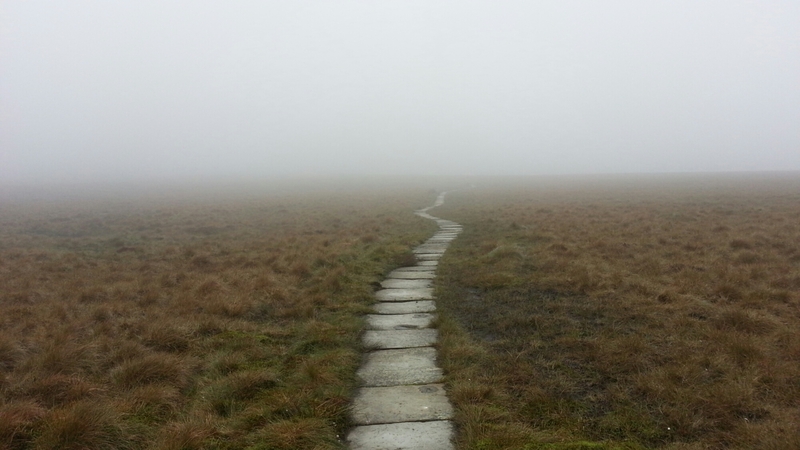 My Hiking Demons: Thoughts as I prepare to conquer my Pennine Way nemesis.